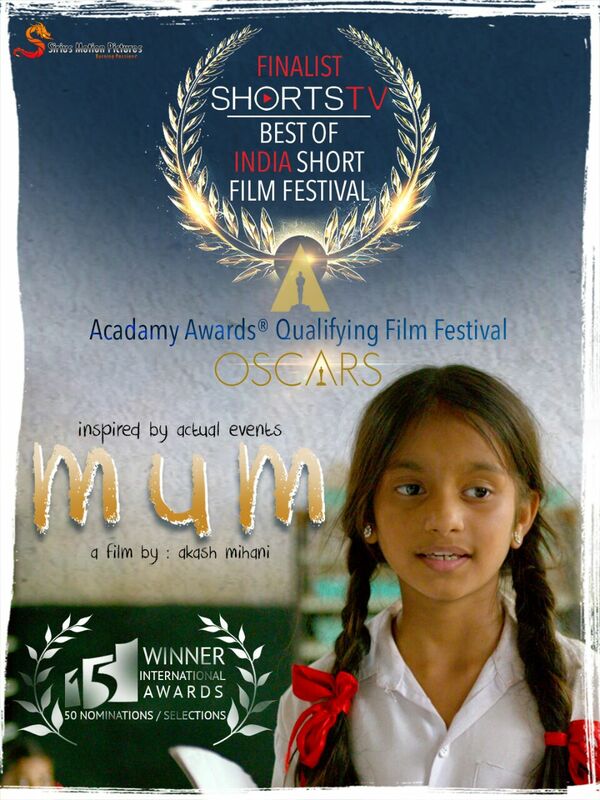 “MUM” is going to Los Angeles for OSCARS® Qualification from 9th-15th Feb 2018, with ShortsTV (Distributor of Oscar Nominated Short Films). This film by Akash Mihani starring Gunn Mihani, Nitesh Upadhyay and Inayat Qazi, tells the story of an eight year old girl, Mamta, struggling with her homework. She gains the attention of her strict class teacher as she reads from an unwritten essay on Mother; leaving the entire class and the class teacher distressed.Mum has garnered immense appreciation from the film personalities. This film with more than 15 awards and 50 nominations fastens its role of being a tough and promising contender to break. 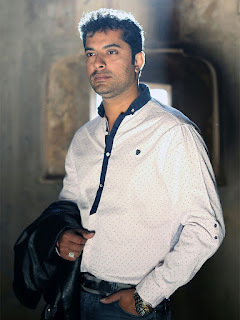 With its sane intentions of changing the perception of the society towards girl child and curbing the world wide issue of female infanticide.Mumbai | Film Director, Akash Mihani - S/o Shri Prakash Mihani, was born on 2nd August 1989, in Burhanpur, a small town in the state of Madhya Pradesh. He was just 15 when he decided to take control of his family business of Printing press (Saibaba Digital). His immense abilities to conceptualize the content of designs had already made him the talk of the town. Having born and brought up in the country dominated by the Bollywood, him trying to pursue his dreams in the industry is not surprising. He always dreamt of Gold (The OSCARS) since childhood and as he grew up, this dream of his was making him restless. 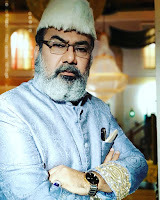 He wanted to pursue it, and so he discussed his dream with his mother and soon moved to the heart of Bollywood, Mumbai.He reached Mumbai on 6th January 2011 and started off as a student in a film institute. He soon started working on film poster designing, animations, short films, documentaries, music videos etc. He started forming his own team of creatives as he progressed with this work. But that didnʼt last long. Every team he created kept either falling apart due to various differences or he used to get backstabbed and removed from the team. He soon realized that every second person in Mumbai is eagerly waiting for his chance in the Industry and this made his struggle even worse, not just physically but mentally. But his strong will kept propelling him ahead of the pack. He believes “When the storm comes everyone leaves the ship, but the captain”Soon he started teaching the film enthusiasts in the film institute, about film-making and its various aspects. As a teacher, he taught many students in the institute and also came across few students in whom he could see the passion to succeed. Although he was a bit reluctant at first (Due to his past failures in maintain a team) he soon formed a team with these students. Everyday from his daily schedule, he used to take some time out from his daily schedule and sit with the students to polish their knowledge about films and film-making. There was another young guy in his institute, Lalit Patil. He was working on a script for his diploma film and wanted to take Akash Mihanisʼ expertise. When Akash read the script, he knew he was looking at another possible and potential addition to his team. Impressed by his skill at such a young age, he voluntarily agreed to even work as a cinematographer in his film. Thereafter, they worked together often.Few days later, Akash had to move back to Burhanpur. Wasnʼt a good kind of motivation for his team and him. But they found a way out to keep the work and relation moving. The team soon moved to Burhanpur to Akash Mihanisʼ house. Having stayed there for almost 6 months the team then came up with a feature film script. They handed it over to Akash Mihani on 17th December 2014. On 19th December 2014, the team along with Akash Mihani left to watch a movie a nearby theatre, Kamal Talkies. While on their way back, Akash Mihani met with a gruesome accident in which his bones from the left leg got brutally crushed.The team didnʼt know what to do with the director being this kind of situation. Even in such a situation, Akash Mihani, just to motivate the team, said “No matter what, the work shouldnʼt stop”The team soon left for Mumbai on 31st December 2014 only to return soon on September 2015 to meet the director. As the team was in talks with the director (Akash) in their office, he gets a call from his mother. Sensing something a miss, director leaves for home. His mother shows him an article about a 5-hour old baby girl buried in ashes with 10 kg stone on her chest and left to die in a jungle in a Mandasaur district of Madhya Pradesh, which he showed it to the team and asked them to do something for the future of baby girl and to change the mentality of the society, as this was what is mother wanted too. Akash Mihani had a word with the team and with everyone in favor of this story as a script, accepted to work for the betterment of society. The writer of the film, Jackie R. Bala locked himself in the room for 3 days. He kept himself isolated and focused on the story of the film. 3 days later he read the script to the team and they were happy with it. Thatʼs how the shooting of the film Mum, started.To play the role of a young girl, the team had elected Gunn Mihani. 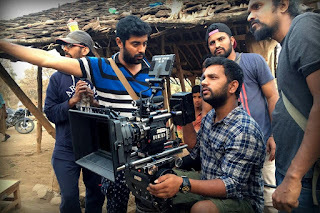 Gunn Mihani had earlier worked with the team in a short film called “kINNARA”. The team was very well versed with the skills of Gunn and vice versa. Gunn Mihani too was quite comfortable working with the team. 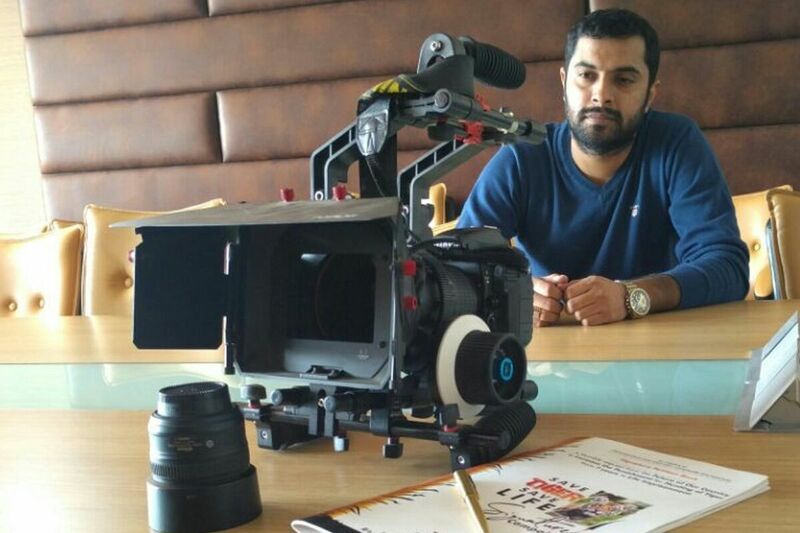 But, while filming a scene during the shooting of Mum, director Akash Mihani had slipped and fallen from a height injuring his leg once again. This only led to the halt of the Mum.“The bigger the dream, the greater the sacrifice.” -Akash MihaniAfter a year and half, on 13th Feb 2017, even though the director of the film was unable to walk due to multiple injuries, the shooting of the film – Mum, commenced from the core. The shooting went on till 14th Feb 2017. On 17th Feb 2017, the team initialized the editing. When the team saw the first draft, Akash Mihani could see his teamsʼ expressions and was confident of where this film was going. The team too was excited on the fact that the dream which the directorsʼ mom saw, was not far away.On 5th September 2017, the film won its debut award at LIFFT – Lonavala Cine Fest (Best child actress).This was just a start and many many more awards and recognitions were yet to come. The film registered a record. After getting felicitated by the audience during a screening in the film festival, due to heavy audience demand the film was screened twice. Not just this but, during Mumbai short international film festival, the film was appreciated 5 times with a standing ovation. The ideology which entire was following, “Out of 100 people, if the film inspires even one of them to change their perception towards the girl child and help curb the world wide issue of female infanticide, it will be a win win situation for the film”, was coming true.The film was selected in the top 5 best short films from around the world for nominations for OSCARS. The film now garnered an opportunity of life time by getting a screen space in the Beverly Hills of LA – Where all the OSCAR best films get screened, from 9th Feb to 15th Feb 2018.Before this the film was screened in Mumbai with Bollywoodsʼ legendary artist, Mr. Pankaj Tripathi along with actor Abhishek Duhaan, Ajay Bhramatmaj and many other influential personalities. Hereʼs what they had to say about the film and itʼs exceptional effort.“The film itself is so beautiful that my words are nothing in front of it. It is important that this film reaches the actual village where this incident has happened. This story should reach the masses." - Mr. Pankaj Tripathi.“It takes courage to make films on these kind of subjects." - Shaan-E-Awadh Film Festival"The film is made on a very sensitive matter, it reflects us as humans in various ways. The kind of cinematic language used, reveals the harsh truth in a subtle way.” -A.K.Bir“It takes guts to talk about the issues lurking in and around our environment. As film-makers itʼs our responsibility to take up these issues and spread a word and this film has done exactly that”. - Abhishek Duhan.Till date MUM has been screened in 15 different countries across the world.We wish the team, the cause and the film all the luck for the present and future endeavours.